Today we will deal with the topic of Bhaktihi found in the scriptures and a topic with various shades of meaning in different contexts and therefore often a confusing topic also. So we should clearly understand what Bhaktihi is. The word Bhaktihi is used in the scriptures in two different meanings. One is Bhakti as in devotion towards God. Devotion is nothing but a love directed towards a higher principle. Whenever love is directed towards some principle which we revere, which is sacred, that love is called Devotion. Reverential love can be called as devotion. We talk about Mātru Bhakti, Pitru Bhakti because in our tradition we look upon our parents as superior, holy, deserving, respect worthy. Similarly we talk about Guru Bhakti and Desha Bhakti and Īshvara Bhakti. This love has been very elaborately analysed in our scriptures both in its general form as love and also in its specific form as in love of God. Scriptures point out that all forms of love that a human being entertains is directed towards only three things. The first is whatever goals that we want to accomplish in our life, whatever ends that we want to accomplish, all are ends that we love. And it is because we love them that we want to acquire them or accomplish them. This is called Love towards various ends or goals. Later we find that to accomplish the ends, we have to use various means. Only through the means can we accomplish the ends, and since the means are useful to accomplish the ends, we begin to love the means also. This is because it is useful to accomplish the ends and hence the second direction of our love is love of the means. The third thing the object of love is the love of oneself. Everyone loves himself or herself. It is also called self love. Then the scriptures point out that there is a gradation in the intensity of love in the above three forms of love. Love of the means is the least in its intensity, love of the end is mediocre and love of oneself is the highest form of love wherein the love has got the highest intensity. The reason is that love of the means is not for the sake of the means itself but for the sake of the end. Once the end is accomplished, then the attitude towards the means is completely different and often not loved. E.g. Rich people are more loved than poor people. That is because the rich are the means to an end called Wealth. And as long as the end called wealth can be accomplished through the rich, they are loved. The moment money goes away from them, thereafter the rich are not loved. Most of the time love for people is love for the means to accomplish the end and often money is the end. Between the love of the end and love for the self, the love of the self is superior. I love various ends hoping that they will give me various comfort safety and happiness. The moment I see that particular end does not give me joy, then the end is either changed, or even after accomplishing the end, it is disposed of. If we have to grade, Means love is called Manda, End love is called Madhyama and Self love is called Uttama because that is the highest in intensity. Let us apply this in the field of God. If we have Bhakti or if a person loves God, what will be the intensity of that love ? The scriptures point out, the intensity of the love depends upon how you look upon God. Majority of people look upon God only as the means for various worldly ends. As long as you look upon God to attain means the love is called Manda Bhaktihi. That is why people get angry with God also. This is a conditional love, and only if the condition is fulfilled will the person love God and if the condition is not fulfilled I reject God. The next set of people who are still rarer, who look upon God not as means to various ends. They are matured enough, their understanding of God is clearer enough that they are able to choose God as the goal of life. Because they know God represents security, peace happiness. Once I understand God as the symbolic representation of peace, love and happiness then I know that everyone in life is seeking security, happiness and peace alone. And once I know God represents these, I know that God is the end of my life and naturally my love of God is as the end and therefore it is more intense than the previous one. This Bhakti is called Madhyama Bhakti. Uttama Bhakti is the even rarer form of love, the most intense form of love in which I look upon God not as the means nor even as the end, but God as non-different from myself. Soham Asmi – means that that Lord is essentially not different from me and therefore the Lord and the Self being identical, God love will become equal to self love. And since self love is the most intense love, that form of love is called Uttama Bhakti. For Manda Bhakta God is dear, for Madhyama Bhakta God is dearer and for the Uttama Bhakta God is the dearest. Krishna beautifully elaborates in seventh and twelfth chapter of Gītā. Thus love of God in the form of Manda, Madhyama and Uttama Rūpa is called Bhakti. This is the first meaning of the word Bhakti. Now we will come to the second meaning of the word Bhakti. And the 12th chapter of the Gītā is titled Bhakti Yoga itself. 8.2.1.What is Bhakti Yogaha ? What course of discipline is indicated by the word Bhakti Yogaha. Earlier we dealt with our three fold course of discipline for attaining the Purushārtha – the human goals. We talked about Karma Yoga, Upāsana Yoga and Jnāna Yoga. We never talked about Bhakti Yogaha. So the question is what is then meant by Bhakti Yogaha as a course of discipline ? Is it a fourth Yoga ? Our answer is Bhakti Yogaha is not an exclusive or separate course of discipline at all. Bhakti is the name of the entire groups of discipline consisting of all the three. It is not a fourth one, but it is the name of the entire threefold course of discipline known as Karma Yoga, Upāsana Yoga and Jnāna Yoga. The first stage of Bhakti Yogaha is Karma Yoga. The second stage of Bhakti Yoga is Upāsana Yoga and the third stage of Bhakti Yoga is Jnāna Yoga. The next question is why do you call all these three commonly as Bhakti Yogaha ? How come Bhakti Yogaha is the common name for all these three ? Why don’t you treat it as a separate fourth Yoga ? Bhakti Yogaha is the common name for all the three because, Bhakti is the common atmosphere in which all these three Yogas are practiced. It is not that Bhakti is separately practiced in a separate time but Karma Yoga, Upāsana Yoga and Jnāna Yoga have to be imbued in Bhakti. 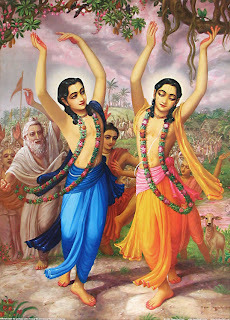 In Karma Yoga, the attitude that one enjoys is dedicating all actions to the Lord and accepting without resistance all the consequences of my actions. Therefore how can there Karma Yoga without Ishvara Arpana Bhāvanā and Prasāda Bhāvanā. Therefore a Karma Yogi should necessarily have Bhakti all the time because every action is dedicated to the Lord. In Upāsana Yoga, I have to meditate upon the Lord for developing mental discipline and integration. How can I meditate upon Lord if I don’t have Bhakti – these include Mānasa Pūja, Mānasa Pārāyanam, Mānasa Japa. Therefore Upāsana Yoga must also take place in the atmosphere of Bhakti alone. Jnāna Yoga also involves Bhakti. Before any study of scriptures, we start with a prayer and end with a prayer. In Jnāna Yoga we are enquiring into our own real nature, discovering the identity of our real nature with the nature of God. therefore self realisation or discovery is nothing but God discovery. Therefore Jnāna Yoga also involves Bhakti. At no time is the person away from Bhakti and all three Yogas put together are called Bhakti Yogaha. This is the second meaning of Bhakti. Another topic to be introduced in this context. When we talk of Bhakti, it is love or devotion towards God. Without understanding the principle of God, how can we discuss the topic of devotion ? Because, integral part of love is the object of love. Infact you cannot develop love towards anyone without understanding what it is. How can anyone love an unknown thing or person ? That is why Jnānam of God becomes a necessity. Scriptures give three definitions of God depending on the maturity of the seeker and the intellectual calibre of the seeker. First definition for the beginner is – God is the creator of the world. In Sanskrit - Jagat Kartā Īshvara. And we present the simple and easily understandable reasoning – any well designed product, any purposeful well designed product must have an intelligent being to design. And the more well designed the product is, the more you appreciate the designing intelligence. So if the ordinary product requires an intelligent being behind the creation, what to talk of the most wonderful universe which is well designed and very purposeful ? Nothing is purposeless in this creation. If this creation is purposeful and well designed there must be an intelligent creator behind it and that intelligent creator is the Jagat Kartā or Īshvara. And once I define Īshvara as Jagat Kartā, you will visualise God as a person because we are used to intelligent beings as human beings or persons. Therefore we imagine a very intelligent God who is omniscient, omnipotent, and since we don’t see him around safely place him above the clouds. This is Lord as a creator, personal God with a special form as Raama, Krishna, Vishnu or Shiva. This is called Eka Rūpa Īshvara. And once you have grown up sufficiently, the scriptures present the next level of Īshvara. God is the cause of the world - Jagat Kāranam Īshvara. Suppose I understand God as the creator of the world, invariably the question comes – what is the raw material out of which the world is created? Nothing else is available because before the creation of the world, God alone was there – none else, even space was not available. That is why scientists say, before Big Bang, we cannot even conceive of time and space. Even before the creation of time and space and objects, when God alone was there, where is the raw material ? Scriptures point out that God himself happens to be the very material also out of which the world is shaped. God is the Kāranam – the very material out of which the world is created- just as a spider finds the material for the web out of itself. Similarly God is the material cause of the universe and from this the scriptures extend, the raw materials alone becomes the product – manifold products, and since God is the raw material God alone has become the universe. Therefore the whole universe is nothing but God alone. So where is God ? The whole universe is God. Since the whole universe is God, every form I see is the form of God. Hence God does not have one form but all forms are God’s forms. So He is no more personal God, He is universal God. He is no more Eka Rūpa Īshvara but is Aneka Rūpa Īshvara or Vishva Rūpa Īshvara and to have to have the Darshanam to God he is available everywhere. Hence first we said, God created the world, and now we say, God has become the world. Once you are ready for the next level, the scriptures give the third definition – Jagat Adhishthānam Īshvara. This is the highest and the toughest and the culmination. In this we say, God did not become the world. This is because the next question will be – Are the ugly things God as well? How can I accept bad also as God ? If such a question comes, you are ready for the third definition. God does not become the world. God appears as the world with different forms not affected by any form in which he appears. To put the other way around – God is the very substratum of all the forms or the entire creation, which he transcends. God is the ultimate reality, God is the ultimate stuff behind the creation but not affected by them. This is Jagat Adhishthānam Īshvara. And since God transcends all the superficial forms of the creation, no particular form belongs to God. Therefore that God is Adhishthānam Īshvara is Arūpa Īshvara – formless God. When I am in the initial stage, I have Eka Rūpa Bhaktihi. When I am in the middle stage, I have Aneka Rūpa Bhaktihi. 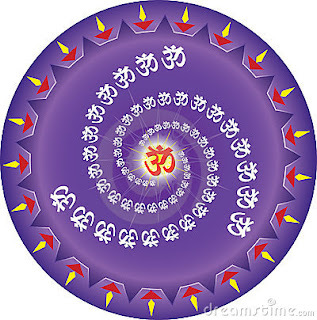 When I am in the final stage my Bhakti is Arūpa Bhaktihi. And remember, when we talk about the three stages gradually, the latter ones does not displace the former ones. It only is of a different dimension. The one who has come to Arūpa Bhakti has not lost Eka Rūpa and Aneka Rūpa. Arūpa Bhakti includes the other two. That is why the greatest Advaitin can worship God in any form also. They could happily appreciate Lord as the beautiful nature also and they could transcend both of them and arrive at the formless also. So the higher one does not displace the lower one but adds another dimension. This is the understanding of God that develops in the mind of the seeker as he studies the scriptures. To consolidate, we have discussed nine forms of Bhakti. So anytime we talk about Bhakti, we should understand the context and grasp the meaning. And it is a very important topic in the scriptures.